Eliminating medical tests for transgender people in Britain seeking to legally change gender would spare them from distress and humiliation, activists said on Thursday, hailing British Prime Minister Theresa May’s pledge to make the process easier. People in Britain wanting to change their legal gender must win the approval of medical professionals, and be diagnosed as having a mental health condition. 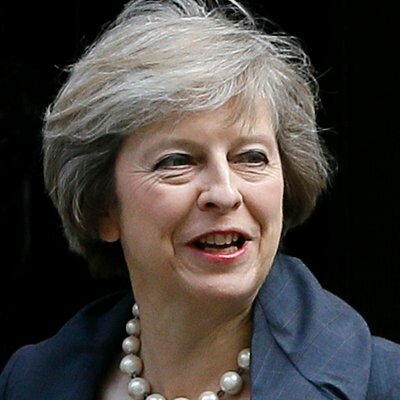 The government plans to reform the process, making it quicker and taking the decision out of the hands of doctors, May said at a event hosted by Pink News, a lesbian, gay, bisexual and transgender (LGBT) media outlet on Wednesday. “Being trans is not an illness and it shouldn’t be treated as such,” May said on Wednesday at the Pink News Awards celebrating those promoting the rights of LGBT people. Transgender people suffer high rates of depression – up to 60 percent – due to stigma, discrimination and abuse, jeopardising their physical and mental health, research shows. Britain’s Gender Recognition Act requires people wanting to legally change their gender to be diagnosed with gender dysphoria, a medical condition where someone suffers distress because their gender identity does not match their body. Applicants must also prove to medical professionals that they have been transitioning to the other gender for two years. LGBT groups say the requirements are degrading, and that the change of gender should be solely determined by the individual. “The Act is now extremely outdated,” Ruth Hunt, head of LGBT rights group Stonewall, told the Thomson Reuters Foundation. LGBT rights group ILGA-Europe said the law is out of step with best practices in Europe and an overhaul was long overdue. “(We) would now like to see the Prime Minister act on her words,” it said in a statement. A growing number of British children are coming out as transgender, with some as young as three experiencing distress because their gender identities do not match their bodies.